This memo is addressed to the incoming Presidents of the European institutions. It is the first in a series of memos to the new European leadership to be launched in September, which will address individual Commissioners with priorities for their portfolio. 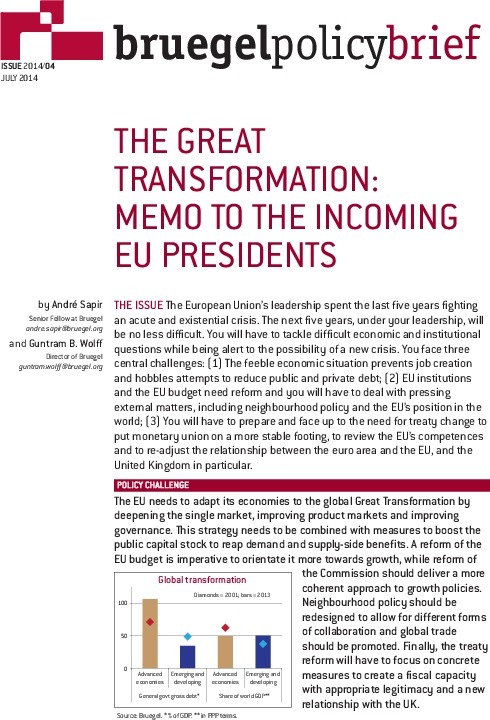 Bruegel Policy Brief 04/2014 is addressed to the incoming Presidents of the European institutions. It is the first in a series of memos to the new European leadership to be launched in September, which will address individual Commissioners with priorities for their portfolio. Take part in the debate using hashtag #EU2DO. You will have to prepare and face up to the need for treaty change to put monetary union on a more stable footing, to review the EU’s competences and to re-adjust the relationship between the euro area and the EU, and the United Kingdom in particular. The EU needs to adapt its economies to the global Great Transformation by deepening the single market, improving product markets and improving governance. This strategy needs to be combined with measures to boost the public capital stock to reap demand and supply-side benefits. A reform of the EU budget is imperative to orientate it more towards growth, while reform of the Commission should deliver a more coherent approach to growth policies. Neighbourhood policy should be redesigned to allow for different forms of collaboration and global trade should be promoted. Finally, the treaty reform will have to focus on concrete measures to create a fiscal capacity with appropriate legitimacy and a new relationship with the UK. Your predecessors as presidents of the European Commission, European Council and European Parliament spent a good part of their mandate fighting the financial crisis and creating mechanisms – primarily the European Stability Mechanism and the European Banking Union – that were left out of the Maastricht design of Economic and Monetary Union (EMU). Your terms of office will be no less challenging. You will have to solve deep and difficult economic and institutional problems, while being alert in case of a new crisis. The European Council of 26-27 June 2014 defined a broad political agenda for the next five years, but you will have to take the lead in spelling out a more precise agenda. You face three challenges. First is the economic situation. The financial crisis is receding but huge economic problems remain. Unemployment in Europe is at record highs and goes a long way to explain voter dissatisfaction with national and European leaders. Debt levels are historically high. Economic growth has turned positive again but remains far too feeble to alleviate the high joblessness or meaningfully reduce public debt, in particular in countries with high debt levels. But it would be a mistake to think that Europe’s economic challenge stems only from the crisis. All European Union countries need to adapt their economies and even societies to the Great Transformation resulting from the combined forces of globalisation, demographic, technological and environmental change. This transformation started well before the crisis. European leaders agreed already in 2000 to modernise their societies: the Lisbon Agenda to create a competitive knowledge-based economy with sustainable growth, more and better jobs and greater social cohesion. Had Europe implemented the Lisbon Agenda, it would probably not have avoided the crisis, but it would have been in much better shape to rebound more strongly and quickly. Unlike Europe, emerging countries remained relatively immune to the financial crisis. They continue to forge ahead. In this respect it is good to consider two key facts: in 2013 emerging and developing countries together accounted – for the first time since at least 1850 – for more than 50 percent of global GDP; meanwhile, the average public debt-to-GDP ratio of these countries dropped below 40 percent, while it nearly reached 110 percent in the advanced economies. Your second challenge is twofold: reforming the functioning of the EU institutions while dealing with pressing external matters. You must deal with growing scepticism about the EU and tackle pressing strategic questions that have remained unresolved for several years. The success of eurosceptic parties in the European elections will force you to focus on results for citizens. For this, the work on economic growth is necessary but not sufficient. The EU is still perceived as wasteful, bureaucratic and undemocratic. You will have to improve the internal working of the EU and of its institutions, manage the relationship between the euro area and the EU countries outside it (the United Kingdom in particular). You will also have to rethink the EU’s neighbourhood strategy and strengthen the EU’s place in the world. Your third challenge is to face up to the need for EU treaty change. The economic and financial crisis has resulted in calls for ‘More Europe’ but also for ‘Less Europe’. These contradictory demands are not necessarily addressed to the same areas of competences that are centralised or not at European level. Many citizens might be in favour of ‘More Europe’ in some areas and ‘Less Europe’ in others. A more fruitful approach is to seek a ‘Better Europe’, with some further competences allocated to European level while others remain at, or are even repatriated to, national level. This implies greater clarity in the division of responsibility between Europe and its member states, and also greater effort to ensure that Europe delivers better results in the areas for which it has clear responsibility. The crisis has shown that euro-area countries need deeper banking, economic, fiscal and therefore political integration than envisaged by the Maastricht treaty. Some of your predecessors suggested the creation of a ‘Genuine Economic and Monetary Union’ that would go well beyond the existing EU treaty and the inter-governmental treaties put in place to strengthen the euro area’s architecture. Although there might be a natural tendency to put aside this discussion while the pressure from the financial crisis hopefully continues to decrease, it would be a severe mistake to wait for the next crisis to reopen the discussion. Such deeper integration among euro-area countries inevitably raises urgent questions about the relationship between the EU and the euro area. You will need to work in parallel on these challenges but the timing of their outcomes should be different. The economic challenge is the most urgent. Europe needs to deliver growth and jobs soon to regain the trust of its citizens. You will need to put forward a credible growth strategy in time for the December 2014 European Council and start implementing the strategy by mid 2015. You will also have to settle some of the governance issues very soon, ideally by spring 2015. You should strive to have the June 2015 European Council adopt a Declaration on the Future of the European Union, involving a Committee on the Future of the European Union, which would make proposals for treaty changes relating to the governance of the euro area and the relationship between the EU and the euro area. It goes without saying that the challenges in front of you are immense. Success will only be achieved if the three of you work closely together and with the heads of state and government of the member states. Nevertheless it would be rational that the Commission, which has executive and surveillance responsibilities, leads on the economic issues and on the reform of the Commission, while all three lead on pressing external issues, and the European Council and Parliament lead on the institutional track. The rest of this memo will deal with each issue in turn. You will constantly have to remind your European Council colleagues that Europe is losing relative weight, and that its demographic developments are unfavourable. Europe needs a growth strategy based on deeper global trade integration, more openness to immigration, improved educational systems and a better functioning internal market. It will also need to step up public investment and domestic demand. In particular, your growth agenda must provide a convincing response to Europe’s immediate and medium-term economic challenges. This entails both closing the output gap and increasing potential output. The strategy therefore needs demand measures to increase aggregate demand and close the output gap, and supply measures to increase potential output. Investment, which remains depressed in most EU countries, is key. Boosting investment would increase aggregate demand in the short term and increase potential growth in the medium term. The focus of the European growth strategy should therefore be to improve the investment climate in Europe. In this respect, much of what needs to be done is ultimately the responsibility of member states. But Europe has its own instruments, which matter for investment and growth. Member states can and must implement structural measures in several areas. The first is the functioning of product markets, into which entry by new suppliers often remains hampered by various barriers. This is especially true in services. Second are labour market and social policies (including basic education, training and life-long learning), which badly need to be modernised. Greater flexibility and better security for workers are essential features in the age of Great Transformation. Third is the functioning of the state, including the justice system and public administration. Finally, higher education systems in many countries remain ill-adapted for the economies of the twenty-first century and continental Europe still lacks global top-notch universities. Although all EU countries need to implement structural measures, some will require your special attention because of their size: France, Germany and Italy. They account for two-thirds of euro-area and half of EU GDP. Germany is healthy with low unemployment and its public finances under control. Yet German investment remains fairly weak, which is a pity first and foremost for Germany, which could use more private investment to boost its competitive position and more public investment in education and in infrastructure. But it is also unfortunate for the rest of Europe, which would benefit from more aggregate demand and higher medium-term growth in the EU’s largest economy. The situation in France and Italy is much less promising. There, unemployment is dangerously high and public finances are over-stretched. Further economic difficulty in one of these two countries could reignite problems in the euro area, where the economic situation remains fragile. You have relatively little leverage over these three countries. For France and Italy, the Commission has the arsenal of fiscal rules at its disposal, but the size of the countries gives them bargaining power and everyone knows it. For Germany, which has large and persistent current account surpluses, the Commission has used and can use again the Macroeconomic Imbalance Procedure to demand reforms that would expand domestic aggregate demand. But again there are clearly limits to what can be achieved. Your real power lies not so much in the use of formal procedures, though clearly they should be used like for any EU country, but in your capacity to convince the three big countries to act in their own interests, and that not doing so would damage the euro area and the entire EU. Of Europe’s own instruments, the most important is the single market. It is simply unacceptable that 30 years after the launch of the single market programme, and more than 20 years after it was supposed to have been completed, the single market is still far from reality in vital areas such as services, digital sectors, energy and research. Your commitment to complete the single market would be an important signal that Europe is again serious about fostering investment and growth. The second instrument is the EU budget, which needs substantial reform to enhance growth. Although the 2014-20 multiannual financial framework (MFF) contains useful tools to improve Europe’s investment climate, you will have the opportunity to leave your mark in 2016 when the MFF is reviewed. The review should not just consider changes in expenditure, but also in the way the EU budget is financed. Moving away from national contributions, currently the main source of financing, is essential to turn the EU budget into a budget for Europe rather than one dominated by a national, ‘juste retour’ logic. This would allow the budget to be refocused on European public goods, for example energy security, energy efficiency, a digital single market and EU-wide mobility schemes for young workers, instead of ineffective redistribution. Luckily, your predecessors appointed a High-Level Group on EU Own Resources, which will make proposals in time for the 2016 MFF review. The EU budget, along with regulation, can and should be used to promote better the single market in industries that require trans-European networks to link regional and national infrastructure. This includes interconnection and interoperability, mainly for transport and energy, but also for information and telecommunications technology. In this respect, it would be important to expand the European Commission-European Investment Bank Project Bond Initiative, launched on a pilot basis in 2012. But the EU budget should also be used to promote structural reform in EU countries. This could include, for example, making the disbursement of Structural Funds conditional on administrative reform. The European Social Fund should be used primarily for the modernisation of labour markets and move social policies towards greater flexibility and better security. The European Regional Development Fund should be used as a matter of priority to improve the administrative capacity and effectiveness of regional and national public bodies. But these instruments alone will be insufficient to provide a meaningful demand stimulus to kick-start EU growth. You should broker a deal in the European Council to get a European investment boost. Public investment should be increased by about €100 billion in 2015 and 2016. About half of this should be the product of national fiscal policies, by increasing public investment and creating new incentives for private investment. You should also ask member states with fiscal space to stop over-performing on the achievement of fiscal targets. The other half of the investment programme should be conducted at EU level, by boosting the capital base of the EIB and implementing project bonds. Economically weaker, high unemployment countries should benefit disproportionally. This growth strategy will be critical for achieving higher growth, which will be paramount for employment creation and for the sustainability of public and private debt in Europe. Failure to achieve higher real and nominal growth would render debt trajectories problematic in countries with currently high debt levels. The European Commission needs reform to implement the growth strategy. This mostly concerns the European Commission president, but the European Council and Parliament presidents will also have to agree on certain issues. An effective Commission would have only a dozen policy areas in which it would take action. While the number of commissioners cannot easily be reduced, you should acknowledge that not every commissioner can have a full portfolio without leading to inconsistency of policy and excessive activism. A solution would be for every commissioner to have the full rights of a commissioner with full vote in the College. However, not every commissioner would be responsible for a distinct portfolio. An alternative constellation would consist of several clusters of competences for which several commissioners would be jointly responsible. Reducing and focusing the activities of commissioners would also allow you to pre-empt the criticism from many member states that the Commission is too active and involved in too many areas. While the assignment of competences cannot be changed without treaty change, you as Commission president could apply a more rigorous internal review of whether any new initiative is really necessary and whether major spillovers across the union justify it. You should ensure the strict application of the subsidiarity principle. You as the new Commission president should appoint a senior vice president without portfolio responsible for the European growth strategy. The senior vice president would oversee all the relevant Commission activities to ensure that policies are implemented to their maximum effectiveness to promote growth. There would be a particular focus on single market and industry, digital agenda, science and research, education and skills, and regional policy. The senior vice president would have a small staff, consisting essentially of the part of the General Secretariat currently in charge of the Europe2020 strategy. The enterprise and single market portfolios should be merged into a single market and industry portfolio to emphasise that European industrial policy should be about framework conditions and deepening the single market while reducing national regulatory fragmentation. Industrial policy based on subsidies and support for national champions is not the right approach for more growth and jobs in Europe. Your economic and financial affairs commissioner must play a central role in the growth strategy, including by shaping the EU-wide fiscal stance, but she will have to operate independently of the many requests from within the Commission and focus on her mandate and the need to keep fiscal policy credible. The rigorous enforcement of competition rules is central for economic performance. 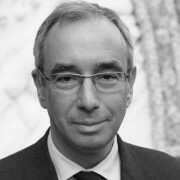 Attempts to make competition policy subject to narrow industrial policy interests are unwarranted, as are claims that it prevents the emergence of European champions. Many sectors remain dominated by national operators in the different national markets, and substantial regulatory barriers still prevent companies, in particular in the services sector, offering their products in other EU countries. The single market agenda is therefore more relevant than ever. It is worth reflecting on competition policy decision making. Acknowledging the inherently complex nature of competition policy, a high-level committee of five impartial experts should be appointed to review once a year the actions of the European Commission, and give independent advice on the direction of competition policy. Their reports should be public and should be submitted to the European Parliament. Their recommendations would not be binding, but would guide the European Commission’s strategy and increase public awareness. The three of you have the daunting task of rethinking and improving Europe’s neighbourhood policy, in particular with eastern and southern neighbours. The association agreements promising a ‘deep and comprehensive free trade area’ with Ukraine, Georgia and Moldova are interpreted ambiguously by different EU countries and the three countries themselves. The relationship with Turkey is still seen only through the prism of potential EU membership. You will have to seek Council backing for a broader approach, that also includes the possibility of other types of institutional relationship with the EU, which would offer more options to stabilise trade relationships while respecting broader geopolitical goals. You will also have to define an immigration policy that not only makes sense from a European point of view but also respects the humanitarian values for which the EU stands, and you will have to re-think the various financial instruments that the EU has for its neighbourhood. But Europe’s interests extend, of course, far beyond the neighbourhood. You should further promote global trade integration and develop a strategy to deal with China’s rising trade power. By 2020, the end of your term, China will be the most important trading partner for several EU member states; already it is the second most important export partner for the EU as a whole. The Transatlantic Trade and Investment Partnership has the potential to deepen trade with the US, the EU’s most important current trading partner, but does not give a convincing answer to global trade questions. Yet, for the EU as an open continent, the further development of global trade is central. Finally, the three of you have the task of reforming the EU’s administration to reduce costs and perceived inefficiency. This should include a review of its staffing needs, including at the Council, salary structures and conditions of entry, the organisation of the European Parliament, including the question of its double seat. Some of the current hostility to Brussels comes from negative perceptions of its administration. 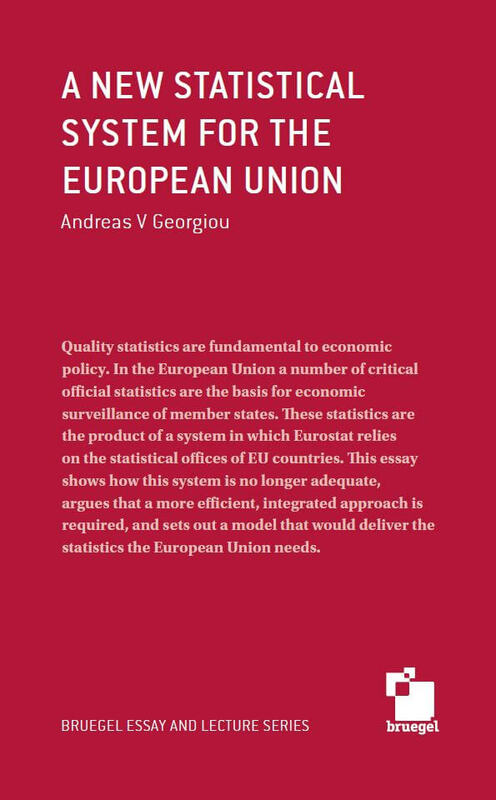 While overall the EU institutions are rather cheap and efficient, you should deal proactively with the perceptions, and not hold back from dealing with inefficiencies. Solving the pressing growth and unemployment problems and adjusting the current EU neighbourhood strategy, while improving the functioning of the EU institutions, is, however, unfortunately not enough. Arguably many of the problems you will have to fire-fight are the result of the still incomplete overall EU architecture and the lack of consensus on what the EU is and what it is not. You should initiate and drive a discussion on further constitutional change in the EU. Europe still needs a grand new bargain. Many of the growth reforms and other pressing reforms are only possible if you broker a deal on the need for a broader revision of the EU’s treaty base. Conversely, the broader revisions of the treaty base are only possible if citizens believe that further EU integration in some areas is actually to their benefit. 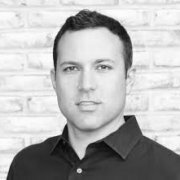 You thus face the formidable challenge of solving many currently pressing problems while working on the long-term solutions. Without a fiscal union, the European Central Bank’s policy measures will continue to be more controversial than those of a national central bank, because the ECB without a fiscal counterpart is more restrained in actions that could have distributional effects across different jurisdictions. In fact, arguably, the ECB’s mandate was designed by the fathers of the Maastricht treaty to prevent it from engaging in policies that could have fiscal consequences. For the financial system to become fully integrated across borders, a banking union with a common fiscal backstop is necessary. 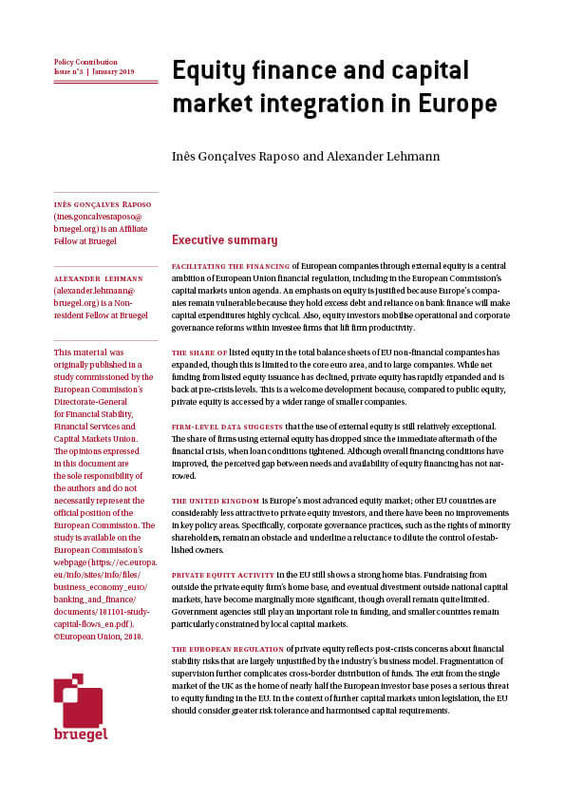 While the banking union currently foresees some mutualisation of the risk that remains after significant bail-ins, there is no mutualisation of major risks, and the deposit insurance system remains fragmented along national lines. As a consequence, the financial system will remain fragmented, with banks and depositors behaving differently based on their location. More financial integration combined with the right regulation would be beneficial for growth and the efficiency of the EU economy. During the crisis, fiscal policy reacted quite pro-cyclically in many instances because of the increasing market pressure on countries in distress. Moreover, the amount of aggregate fiscal stabilisation has been insufficient because coordination has proven inadequate across the union. It is time to significantly advance this discussion on a fiscal capacity and stronger mechanisms for economic reform. The first important step should be a serious review of the EU budget with a view to adapt its expenditures towards more growth. You should undertake this immediately within the existing treaties. Other elements should include (a) resolving the unresolved questions about burden sharing in case of ECB losses; (b) agreeing on how to increase the back-stop for the banking union – a potential measure could be to accept that taxation of banks becomes completely European; (c) working on a concrete measure that would support unemployed people – the creation of a European unemployment insurance mechanism could be envisaged if labour market institutions concurrently become Europeanised. This would also answer the pressing question of how to overcome the inconsistency between monetary union and national structural and labour market policies. Many of these changes would require treaty change to create the democratic legitimacy needed to justify moving such policies to the EU level. While fundamental reform of the architecture of monetary union is crucial, it will be equally important that you address the substantial mistrust between euro-area countries and some of the countries that do not want to join the euro, in particular the UK. The UK’s economy is of great importance to the single market and the UK is a vital EU member. EU reform is part of the answer and the UK is right that such reforms are in the interests of all EU members. But the question of the place of the UK in the EU will be core for the debate on treaty change. A result of treaty reform could be that the UK stops participating in the EU budget, while remaining in the single market for goods, services and capital, and ideally also labour. The UK would have to be granted some basic minority rights but should not be able to block vital steps needed to strengthen the single market. Such a ‘second tier’ EU membership could also offer a more realistic option for countries such as Turkey. This treaty debate on deepening EMU and adjusting the relationship with the UK will inevitably be connected with a review of EU competences. Reviews of competences have been started by a number of member states, most notably the UK. You should welcome such input. All EU countries would benefit from a better allocation of competences. You should therefore propose to the European Council in June 2015 that it adopts a Declaration on the Future of the European Union and that it appoints a High-Level Committee to make proposals for a new architecture for the EU and for the euro area. The High-Level Committee should conclude its work and report back to the European Council in December 2016. The High-Level Committee would address three sets of questions. What kind of fiscal backstop does a genuine banking union require? 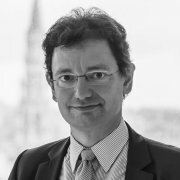 Does monetary union require a fiscal stabilisation mechanism? Are the current fiscal rules adequate? Is a mechanism for sovereign debt restructuring necessary? How can the no-bail-out clause be made credible? Should the European Stability Mechanism and the European Resolution Mechanism become EU mechanisms and be part of a euro-area budget managed by a euro-area treasury? Is the EU budget reform a condition for the creation of a euro-area fiscal capacity? Does the euro area require a ‘finance minister’ with veto power over national budgets and national structural and labour market policies? Should some of these policies become EU policies? What mechanisms of political accountability should be put in place to oversee the euro-area treasury and finance minister and give them political legitimacy? What should the relationship be between euro-area and non-euro area EU countries? What safeguards should non-euro area countries receive and how closely should they be linked to the main EU decision-making processes? Should their involvement in the EU be more narrowly based on the single market only? Is the current assignment of EU competences adequate? Is the current method for assignment of competences adequate? The treaty specifies that limits to EU competences are governed by the principle of conferral. The use of EU competences is governed by the principles of subsidiarity and proportionality, the application of which is specified in a protocol. Has the time come to revisit this protocol? It is time to review all of these aspects thoroughly and come to a broader agreement about the EU’s development path. Many of the essential topics are far-reaching and complex. But failure to tackle these issues would undermine progress on current problems, and could also leave the EU unprepared for new crises. The aim of the High-Level Committee would be to create a clear roadmap. Obviously not all the proposed treaty changes would need to be put in place at once; gradual change is conceivable. You should aim to have or at least to initiate a new treaty before the end of your mandate. ‘Strategic agenda for the Union in times of change’, European Council conclusions, 26-27 June 2014, available at http://www.consilium. europa.eu/uedocs/cms_Data/docs/pressdata/en/ec/143478.pdf. Also, the President of the European Parliament should accept that national parliaments use the subsidiarity review more often.